Jasper and Agate and Drusies, oh my! 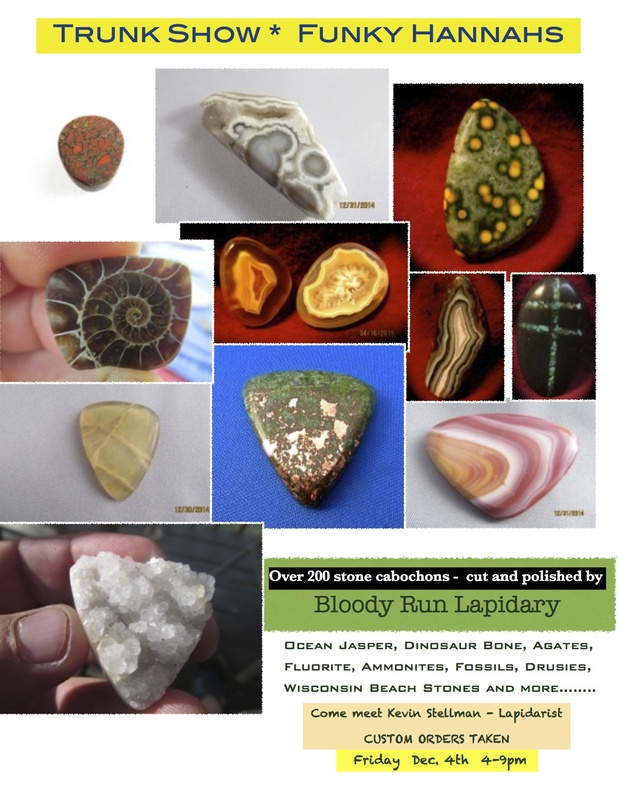 Join us on December 4th from 4-9pm for a trunk show of cabochons from our friends at Bloody Run Lapidary! Kevin Stellman, lapidary artist, will be here with LOADS of his custom cut stones. Custom orders welcome too! Don’t miss this!